No purchase necessary. Contests are subject to federal, state and local laws. Void where prohibited by law. RICH’S SEWING & VACUUM reserves the right to pick an alternate winner if unable to contact the winner at the telephone numbers given on the winner form within two business days. All contestants must be current Oregon residents in Multnomah, Marion, Polk, Clackamas, Benton, Washington and Linn Counties. One entry per person. One person per household may win each contest once in a 30-day period. 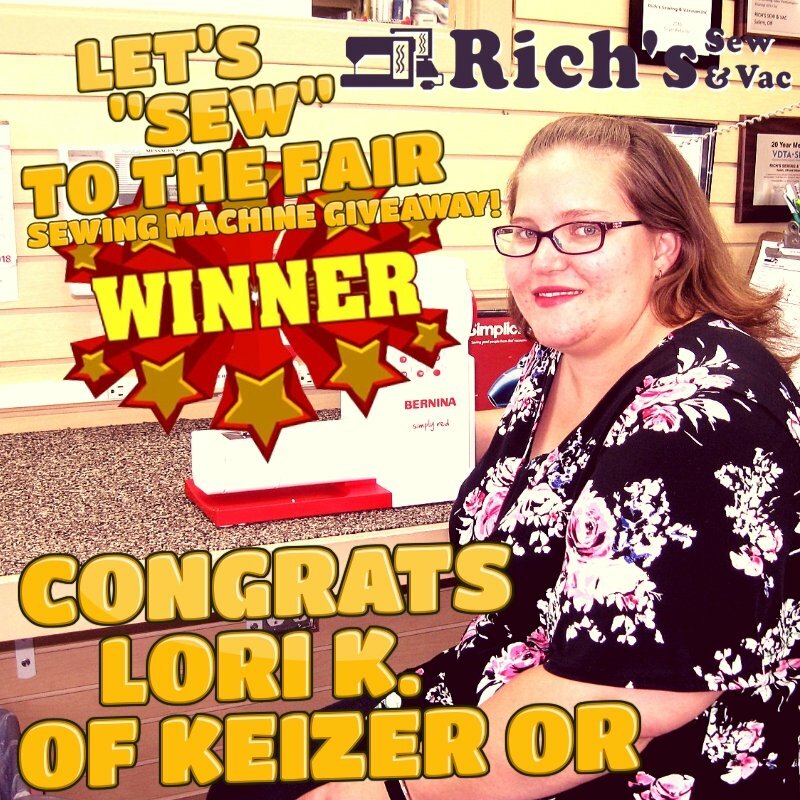 RICH’S SEWING & VACUUM and sponsors are not responsible for lost/stolen/postage due mail or late/misdirected mail, failed, incomplete or delayed transmission of entries (if applicable) or for problems with computer, on-line, telephone or Internet communications or damage to user’s system because of participating in the contest. Illegible/incomplete entries will be disqualified. All entries become property of RICH’S SEWING & VACUUM and will not be returned. False or deceptive entries or acts will render entrant’s ineligible. Rules and Conditions can be changed at any time without notice. All participants must be over the age of 18. RICH’S SEWING & VACUUM acknowledges that the promotion is in no way sponsored, endorsed, administered by or associated with Facebook. All entrant or participants release Facebook of all affiliation to the contest being held by RICH’S SEWING & VACUUM.